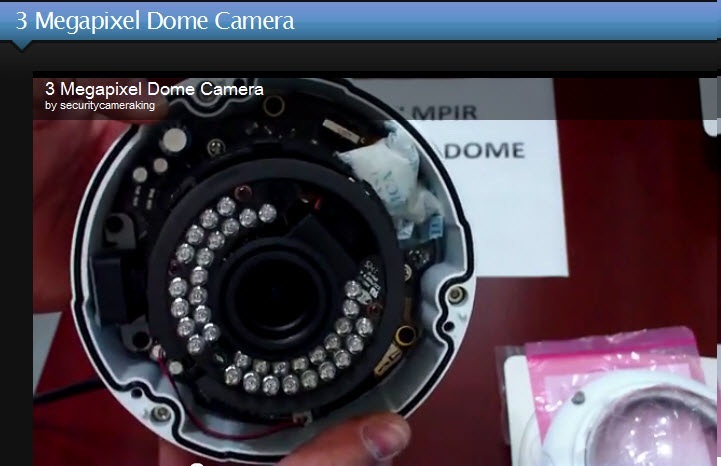 This is a vandal dome 3 megapixel camera that just arrived. 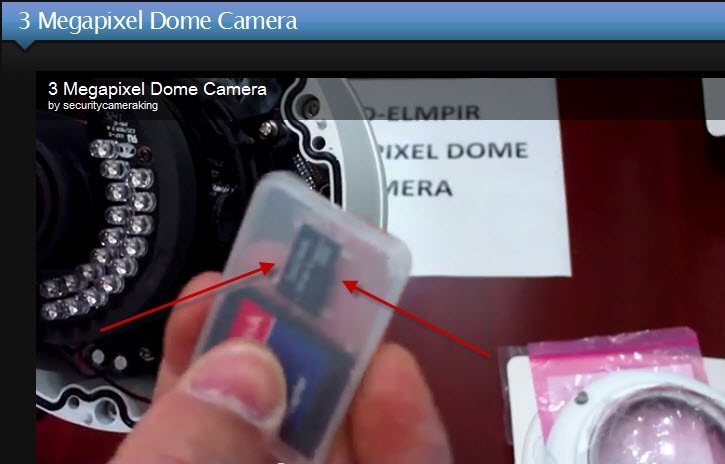 It's very good, it has an amazing picture and I'm going to show you how to open it and show you what you'll see inside the camera when you do open it. 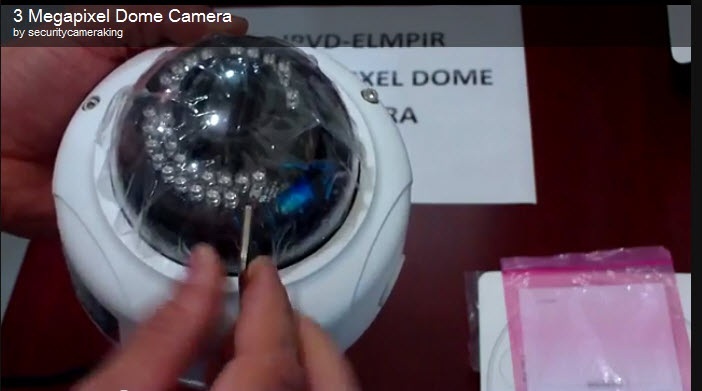 In this video I’m going to show you our brand new vandal dome model number IPVD-ELMPIR. 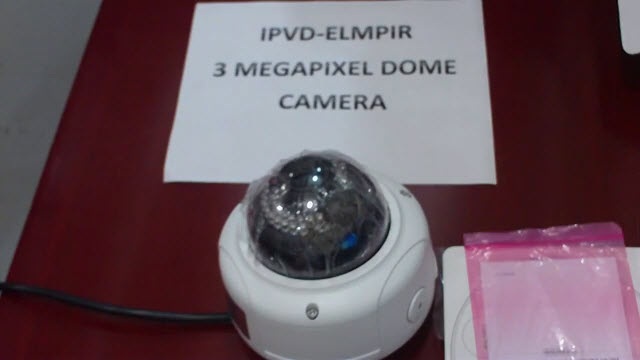 This is a vandal dome 3 megapixel camera that just arrived. It’s very good, it has an amazing picture and I’m going to show you how to open it and show you what you’ll see inside the camera when you do open it. First you will notice that the camera has three screws and it has an Allen key that is provided in the package so you just basically unscrew the three screws right here. You can just insert it there and put it on your network, configure some of the features and you will be good to go in no time. 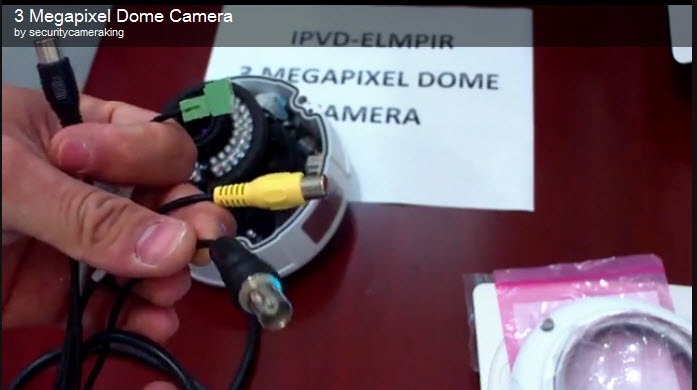 The camera has a pigtail which includes the RJ435 connecter or the Ethernet port where you are going to connect it into your router. you can connect alarms, like you know it has alarm inputs and outputs. Also it comes with the pattern for installation if you want to mount it. 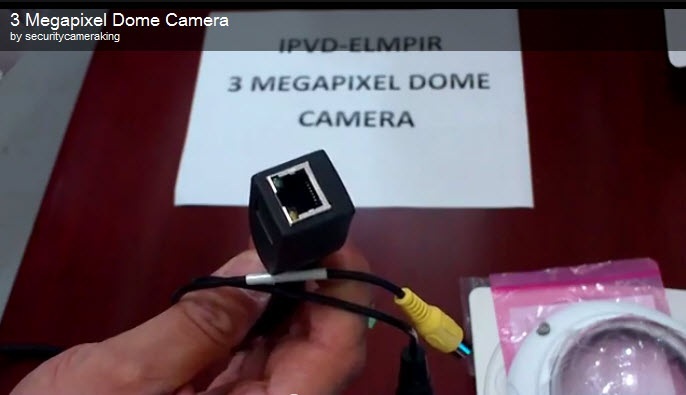 It’s a very, very good camera good quality, vandal proof, its capable of recording at 3 megapixel or 1080p which is 2 megapixel. You can use this camera on our brand new Hybrid DVR. Our Hybrid DVR is capable of handling this camera up to 1080 p resolution. This camera is a tri-ax camera meaning it can move in three different planes. I will be making some more videos showing the configurations and how to plug it into the network and how to configure it. I hope this has been informative for you and I would like to thank you for viewing.